You are here: Home / Breathe / Where are you on your homesteading journey? 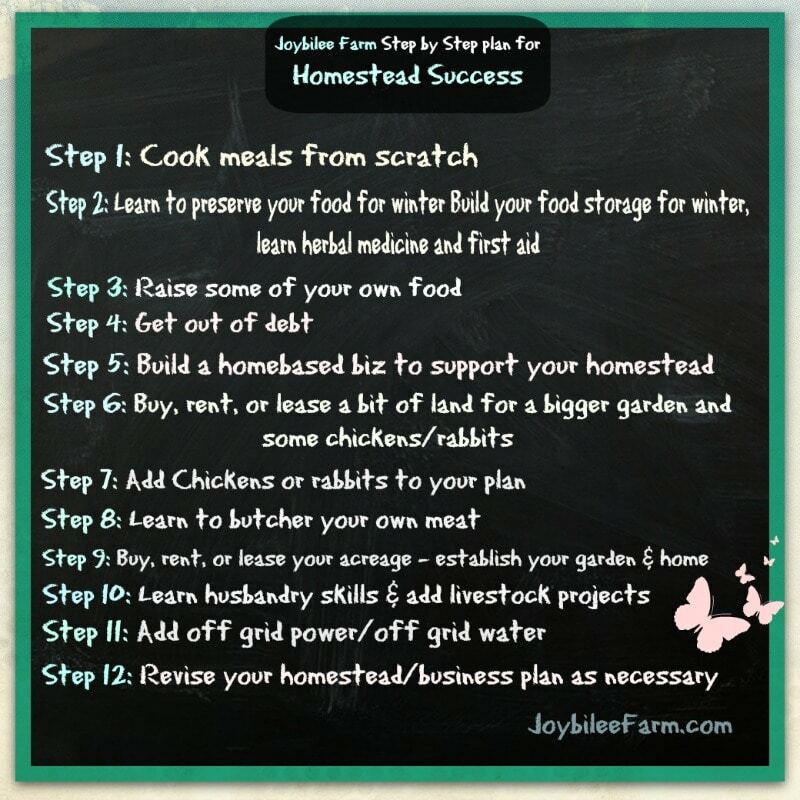 Where are you on your homesteading journey? Homesteading is a journey. But it’s a journey that there aren’t many maps for. Because of that, you see the destination — a paradise, with a 3 or 5 bedroom house, off grid, and a pastoral scene out the kitchen window, the smell of home baked bread baking in your off-grid Amish wood cook-stove, and the gentle sound of chickens cooing under the kitchen window. And you see where you are at right now — just home from the farmer’s market, after work on Friday, with a couple dozen farm fresh eggs, two boxes of apples, and a couple butternut squash, and a basketball game to drive your son to in 30 minutes, a Sunday school lesson to plan, and a dessert to bake for a potluck tomorrow — you think you are a long ways off — running a treadmill instead of walking your journey. Don’t be discouraged. If you weren’t born on the family farm, and destined to inherit it soon, you are right where most of us modern homesteaders started our journey. I was thinking of this thing called “homesteading” and I was thinking wouldn’t it be nice if there was a plan or a map that would show you that you are on the right path. Not only that, but a map to show all those folks who ran out to buy the 50 acres and now have to drive 2 hours each way, every day, to a job in the city, just to pay for it, that they missed the turn off. Those poor, tired folks get home so exhausted and hungry that they don’t have the energy for home cooking, so they open a box and a couple of cans every night. That’s only if they didn’t hit the fast food joint before they hit the express way. So I created this 12 step plan. If you do each step in order and keep them going you will arrive at the fulfillment of your dream. So have a look at the “map”. Where are you on your homestead journey? Did you skip a step? It’s not too late to go back and fix that. And if you are one of the folks that bought the acreage but you’re too tired to cook from scratch, or grow your own food and you’re making the 4 hour a day commute in order to live your dream — that you never see except to sleep there, well, may I gently suggest that you re-evaluate your position — realign your compass. I love you. I want to see you strong and joyful on the journey. So check your compass, and stay focused on the next step. That’s all you have to do. Here’s JOY for your journey! What a lovely and encouraging set of steps! We’re a mix of them I suppose, missing some steps but having others. Nice encouragement..I am not really “homesteading”..although I would love to if I were younger(65)..but I am so grateful for all your tips & information that are allowing me to try to live (wherever I am) in more harmony with the earth,air,fire,& water around me. I have also been encouraged by your guidelines for gluten free cooking and really enjoy soaking up the energy that you create , here on your website. So mostly I just want to say thank you, thank you,thank you thank you…..In gratitude..